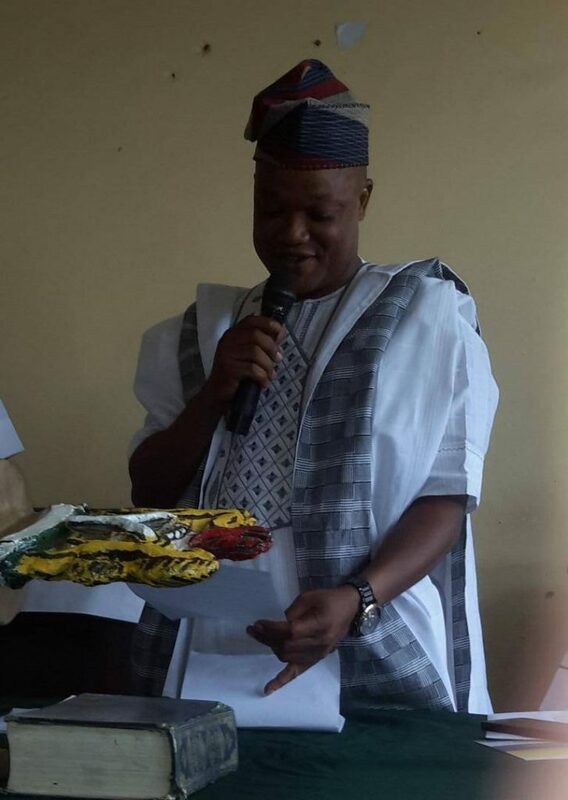 The newly elected Chairman of Boluwaduro Local Government in the State of Osun, Hon Hakeem Tokede has vowed to use the six points agenda of Governor Rauf Aregbesola to develop the council. 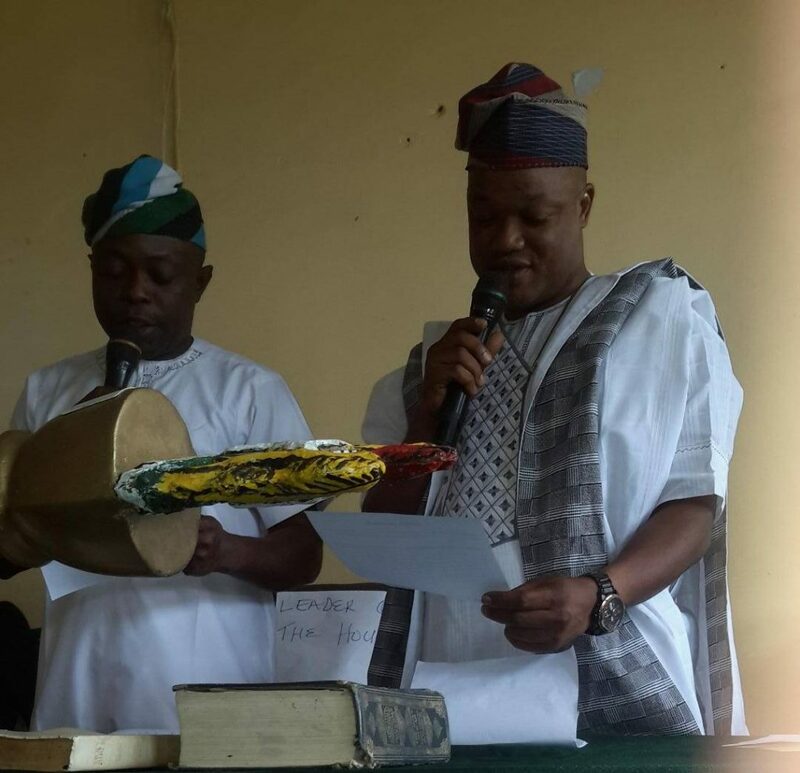 Hon Tokede made the disclosure while speaking after taking oath of office at the council’s secretariat located in Otan Ayegbaju. The agenda include free and qualitative education, restoration of basic health system, war against poverty and hunger, unemployment, modern town planning and urban development. 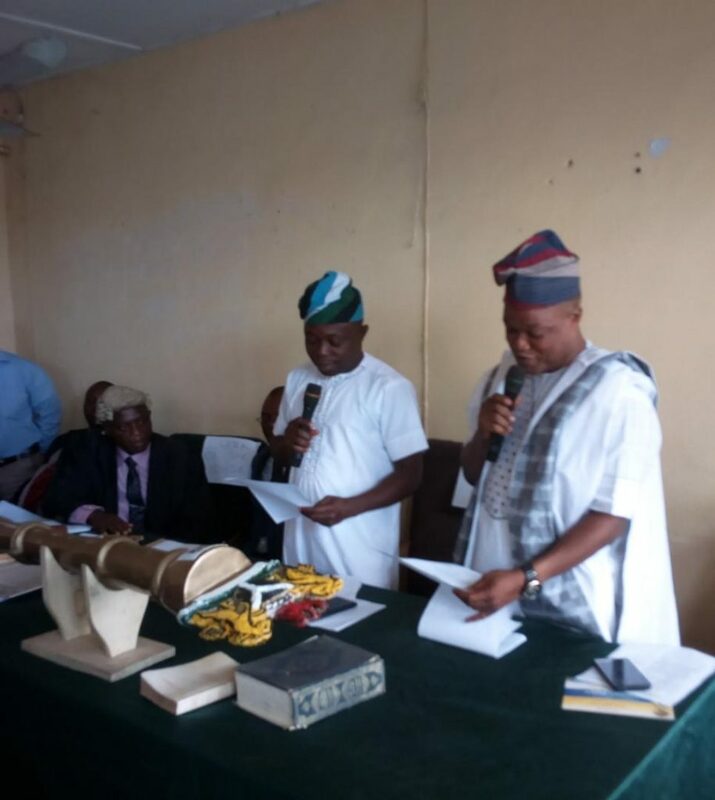 He added that “there should be peace and harmony for the benefit of our people, our visitors and businesses in our local government so as to promote communal peace and harmony. He promised a clean environment, eliminate street market in the council area and improve sanitation in the environment. Speaking on the parliamentary system of government, Tokede said “parliamentary system is full of democratic norms that will shun arbitrariness, dictatorship and misuse of power in government. He submitted that parliamentary system of government is easy to operate, and transparent for development of good democracy. Hon Tokede assured that his team will work to achieve maximum and accelerated development urging the workforce to cooperate with him.